Is Fox's action thriller 24 the most influential TV drama of the past 15 years? Jack Bauer's determination and no holds barred approach to saving the world had a clear influence on the Jason Bourne films (which began the year after it debuted), which in turn inspired the Daniel Craig-starring Bond films with 2006's Casino Royale. The era of gritty, shaky-cam aesthetics was also first popularised by 24 on television, together with most modern hero's inclination to get vital information using impromptu torture. There would be no Taken without 24, that's for sure. Liam Neeson's character also has a daughter called Kim! The recent Olympus Has Fallen even lifted its whole White-House-in-crisis concept (however loosely) from a season 7 arc of 24, only with less Tony Todd. Cliffhangers have been around for decades, of course, but they were largely used to ensure viewers would come back halfway through a "two parter", or at the end of a season to keep audiences hooked over the summer months. 24 tore up the rulebook, delivering big cliffhangers every single week. 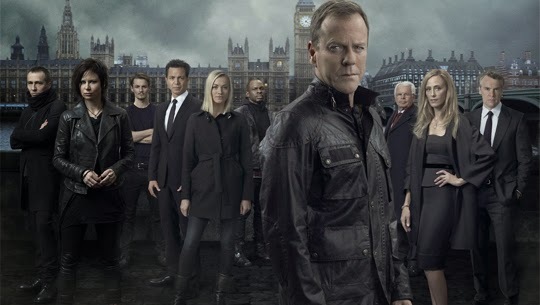 These days it's quite common for television show to do shocking or "unthinkable" things, but 24 definitely pushed the envelope further than most and gave rise to what's almost become the norm. I still get a hollow feeling in my stomach when I recall Jack having to execute his own boss, as commanded to by that season's villain, when every other option had been exhausted. Chills. Before the likes of Netflix made it easy, most people gorged themselves on overpriced DVD box-sets. The idea of being able to consume multiple episodes of a TV show, at your own leisurely pace, only became a mass reality when DVD players were ubiquitous in homes, and 24 was at the vanguard of that trend—helped, at least in the UK, by the fact it became a satellite-exclusive show, so most people's only option was to wait for DVD. And it remains true that 24's format is still the absolute best for devouring multiple episodes of an evening. 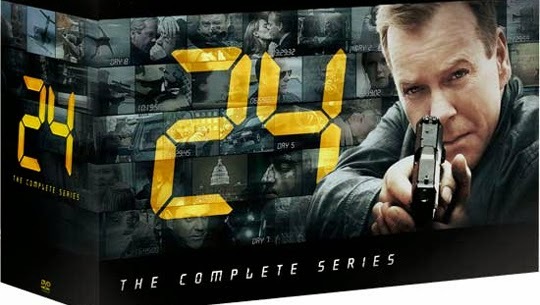 24's "real time" format (telling a single story over 24 episodes), has always been its USP. It directly inspired other early-'00s shows to take unusual approaches to their format (most notably short-lived NBC crime drama Boomtown, with a multiple perspective idea), but it's fair to say that post-24 excitement soon dimmed. That said, you have to wonder if shows like 2004's Lost would have decided to use extensive flashbacks (to create dual narratives each week), without 24 first proving audiences would accept something that wasn't the norm. Every generation has its action hero poster-boy. In the 1970s it was stern Dirty Harry. In the 1980s it was beefcake Rambo. In the 1990s it was... um, well, they were relatively peaceful times. (dimwit Keanu on that runaway bus?) But in the '00s, the pop-culture hero became Jack Bauer—as he defeated an assortment of enemies inspired by front page news, but often with a Middle Eastern influence due to the aftermath of 9/11 lingering in the air during 24's formative years. Ah yes, the influence of the uncannily noble President David Palmer (of season 1-4). 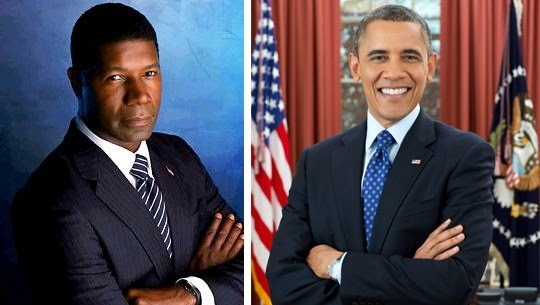 There had been other black, fictional Commander-in-Chief's before 24 (like Morgan Freeman in Deep Impact), but many folk claim 24 made the idea feel possible... including Dennis Haysbert himself, who played the show's greatest POTUS. I'm not saying 24 was a significant factor in Obama achieving office many years later, but it never hurts to plant the seed in millions of people's heads through pop-culture beamed into their homes. Do you think AMC pioneered the idea of creating a show that discusses another show, with The Talking Dead discussing The Walking Dead? If so, you're entirely wrong. It actually started right here in the UK, when BBC Choice (the precursor of BBC3) realised their US import 24 was causing a stir and created a show where celebs would discuss each week's events in a tongue-in-cheek manner. A fair number of 24 actors even flew over to be guests on this light-hearted talk show, and Kiefer Sutherland today acknowledges that 24's success in the UK was a key reason the show started to gain traction in the US and earned a second season pick-up. Yes, America owes 24's continued existence to us Brits spotting quality, so it's only fair Live Another Day's being filmed in London. When 24 first went off-air in 2010, it had produced 192 episodes and overtook Mission: Impossible and The Avengers as the world's longest-running TV show set in the espionage genre. That's a record that ain't being broken any time soon, dammit. Having had its most critically successful season in 2006, most people involved with the show admit that season 6 was something of a creative disaster zone. And while its failure perhaps triggered the eventual end of 24's original run, let's not forget that season 7 and 8 were big improvements. It didn't slide into total oblivion, it just took the opportunity to retool a few things (like setting the show first in New York, then Washington D.C.), and knew to call it a day when its own clichés and formulas became too overbearing. You'd imagine a show like 24 would only scoop technical and stunt awards, but it actually had a very healthy cabinet of polished trophies. Most notably, 24 was voted 'Best Drama Series' at the 2003 Golden Globes, and 'Outstanding Drama Series' at the 2006 Emmy Awards. Kiefer Sutherland also won an Emmy for his role as Jack Bauer, together with a Golden Globe, two Screen Actors Guild Awards and two Satellite Awards. Remember when the Writers' Strike shut down production on a new season of 24? They simply made a Television Movie called Redemption to appease fans when they could, almost as an apology. Remember how 24 was officially axed by Fox after its eighth season? That kept the show dead for, oooh, about three years... but now it's back for a twelve-part "limited event" season in the summer. Who knows, maybe it'll be back every year (halving the number of episodes certainly helps Sutherland pursue other projects while keeping Jack Bauer alive). Is there anything that can stop 24, beyond Sutherland simply growing too old and requiring a Zimmer frame?